The Stromberg WW is a two barrel downdraft carburetor first introduced in 1953 and used on various US car and truck models until 1974 and in Australia on Holden vehicles until 1980. Buicks started using these in 1955. There were main two versions, the smaller WW which fit a standard SAE 1 1/4” flange and the larger WWC which mounted on the larger 1 1/2” flange. WWC carburetors were used on larger Mopar V8s and on some GMC engines. The two can be distinguished by the location of the accelerator pump acutator. On the smaller units, the pump protrudes through the top of the airhorn and is moved by a lever (Stromberg WW). On the larger version, the pump is internal and is actuated on the side by the pump rod (Stromberg WWC). 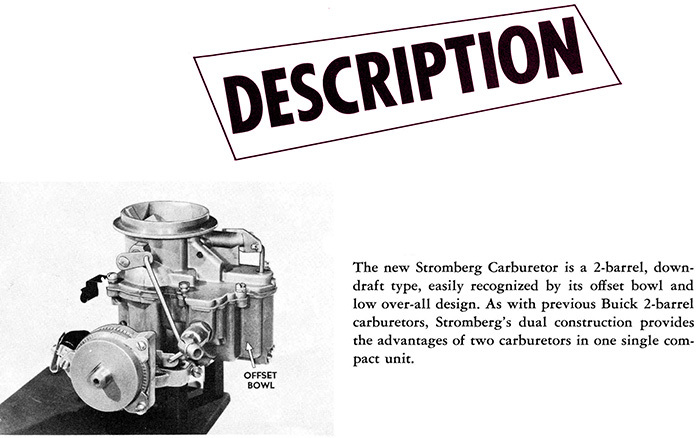 Stromberg WW and WWC carburetors were used on 50s and 60s Mopar applications along with Carter BBD carburetors, with which they are often confused. They can be distinguished by the location of the fuel inlet fitting: Carter BBDs have the fuel inlet coming out the front, whereas Stromberg WW and WWC carbs have the fuel inlet coming out the side. Figures 1 and 2 show typical WW carburetors with a vertical air intake. 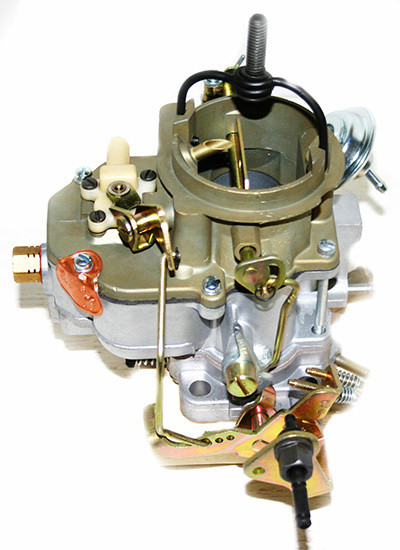 Figure 3 shows a typical WW carburetor with a horizontal air intake. 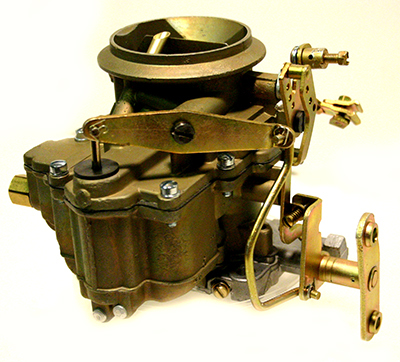 The carburetors came in both automatic and manual choke versions. The auto choke types used an integral choke where the choke housing is mounted on the throttle body primarily on Buicks and a few other models. Later Mopar versions used a manifold-mounted crossover choke. Carburetors with integral chokes used a choke piston as a vacuum break to open the choke on starting; remote choke carbs used a diaphragm type choke pull off. In the types shown in Figures 1 and 3 the automatic choke control and fast idle cam mechanism are attached directly to the choke shaft . 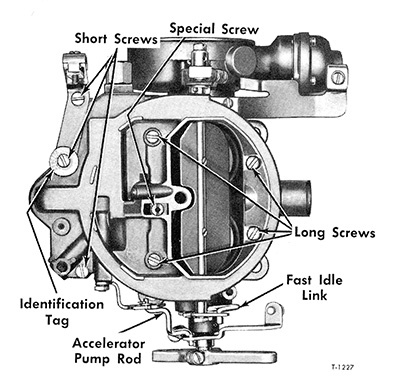 In the type shown in Figure 2, the automatic choke control and fast idle mechanism are part of the throttle body and are connected to the choke shaft through a rod and lever. Some models incorporate accessory equipment, such as: overdrive kickdown switch, magnetic dashpot control, and kickdown limit switch. Figure 1 shows model with kickdown limit switch and magnetic dashpot control. Some Buick carburetors used a starter switch, similar in construction to other Buick carbs. All Stromberg WW carburetors have the identification code number stamped on the air horn cover, adjacent to the fuel inlet. Before attempting to repair or overhaul a carburetor, refer to the identification code number and secure the correct repair kit for the carburetor that is to be repaired. The Stromberg WW consists of three main castings. 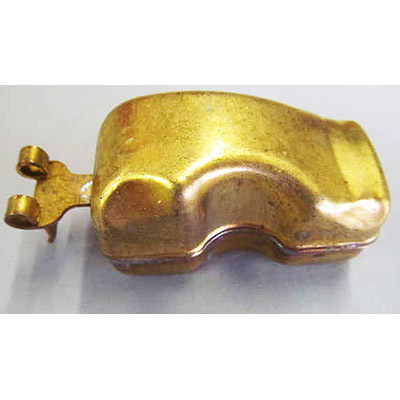 The throttle body is aluminum and the float bowl and airhorn (float bowl cover) are zinc, finished in a gold-green chromate conversion coating. The castings are lightweight and are prone to warping. The throttle bodies often have play around the throttle shafts. This is due to both wear in the throttle body itself and wear on the shaft. This can be repaired by installing bronze bushings in the throttle body to take up the slack. The throttle bodies often need to be planed flat in order to eliminate air leaks around the base gasket. 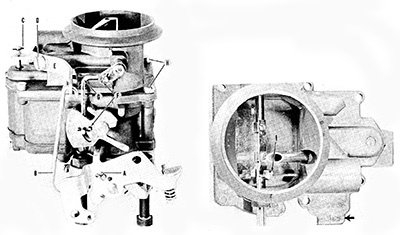 The float bowls on the larger WWC carburetors are often badly distorted because of strain from the air cleaner mounting stud pulling up on the casting. 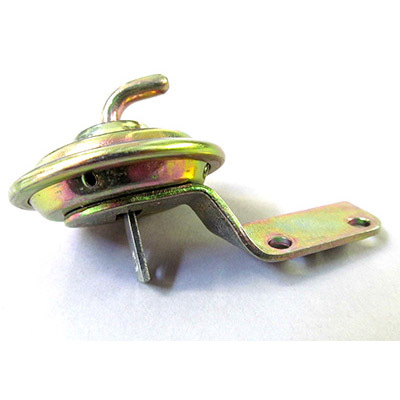 These can often be trued by heating in an oven or with a propane torch and pressing flat in a jig. Zinc melts in the hot part of a propane flame, so caution must be used to avoid destroying the casting. Some large WWC carburetors used on GMC Truck applications use a special flange where the front and back mounting bolts are a different width apart. These are unique and there is no other carb that will fit these manifolds directly. Heavy duty truck versions often used an integral governor in the throttle body. A few Taxis were also equipped with governed carburetors. Always check the carburetor number before ordering a kit.